The Immigrant and Refugee Commission was created as a result of Seattle's Immigrant and Refugee Report and Action Plan released in 2007. With the unprecedented growth in the foreign-born population since the 1980s, Seattle has become an increasingly multi-cultural city, rich with diversity. In keeping with the Race and Social Justice Initiative, the mayor and city council want to ensure that city government provides high-quality customer service to all, including immigrants and refugees living and working in Seattle. The Immigrant and Refugee Commission will help the city reach its goals. Learn more about the commission below. 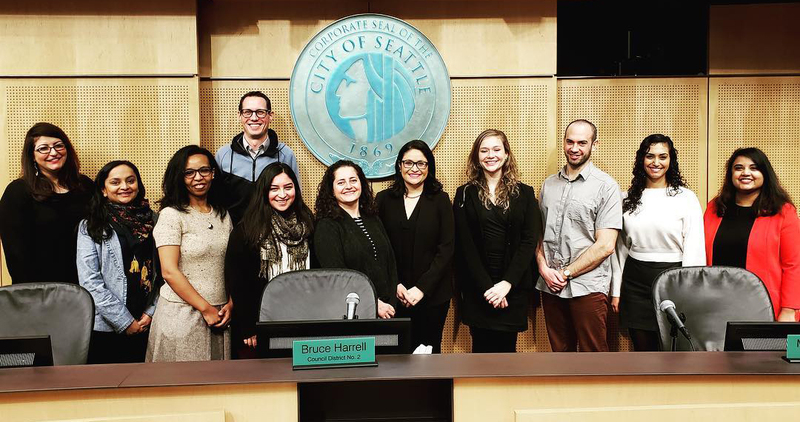 Reflecting the diversity of Seattle's immigrant and refugee communities, the commission has 15 members (eight appointed by the Mayor and seven appointed by the City Council). Commission members will be appointed to one- or two-year terms, with the option of reappointment. The Immigrant and Refugee Commission was created as a result of Seattle's Immigrant and Refugee Report and Action Plan released in 2007. With the unprecedented growth in the foreign-born population since the 1980s, Seattle has become an increasingly multi-cultural city, rich with diversity. In keeping with the Race and Social Justice Initiative, the Mayor and City Council want to ensure that city government provides high-quality customer service to all, including immigrants and refugees living and working in Seattle.